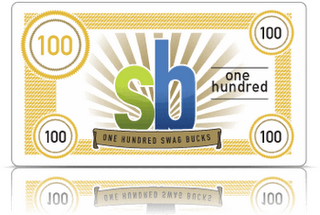 And let the Swagbucks point earning begin!! I posted previously this morning about me sharing more deals to help you earn points to get great free merchandise. Well, here is a way for you to a Free Point! 1. Head on over to Swagbucks. If you have an account sign in, but if you haven’t yet, you can sign up through this same link. 2. Click on Ways to Earn at the top of the page. 5. When the pages come up, select SKIP — don’t do any of them. Of course, unless you want to, but its not necessary to get the FREE Swagcode. 6. Once you skip a few of the offers, you will get a Swagcode worth 1 Swagbuck! Go back to the home page and paste the code in the black box where it says swag code.